When you are spending a day skiing out on the mountain, a great pair of gloves or mittens is an important accessory to stay safe and comfortable. They cover your hands and fingers to protect them from the frigid mountain air. While most guys choose a pair of gloves or mittens without giving them a second thought, there are actually a few things that can have an affect on your comfort and overall skiing performance. Out on the slopes, it is imperative to have complete control of your hands to ensure that you ski to the best of your ability. Before making a selection, there are a few things to consider. Despite the fact that gloves and mittens usually have a temperature rating, guys should consider how the cold weather personally affects them. Not every guy is the same. Some guys feel cold very easily while others have a very high tolerance to it.This should be considered to maximize comfort. Gloves and mittens usually have a temperature rating on them to give skiers a better idea of the level of protection they offer. However, these ratings can vary dramatically from manufacturer to manufacturer. It is best to avoid these ratings altogether when comparing gloves and mittens from different manufacturers. If you are looking at one brand in particular, a higher temperature rating indicates more protection. That being said, there is no universal rating system when it comes to gloves, so it is best to avoid the system and simply go off of experience and gut instinct. Guys should find a pair of gloves that will keep them comfortable regardless of how their hands react to the cold. Furthermore, the temperature of the slopes in which you will be skiing should be taken into consideration as well. Gloves and mittens are both used by skiers. There is no better choice when it comes to skiing. They both have their advantages and disadvantages. Guys should choose either gloves or mittens based on personal preference and their needs. When it comes to skiing, either choice will work well. If you want full control of your hands, you may want to go with a pair of gloves instead. Gloves will keep your fingers warm and protected while still giving you the ability to do what you normally would without them. Mittens tend to limit your movement. In most cases, skiers will have to remove mittens to do menial tasks, such as adjusting goggles. Mittens are a good choice for anyone who needs a bit more warmth. Mittens become warmer due to the heat generated by the fingers staying in one compartment. If you are more sensitive to the cold weather, mittens will give you enough warmth and mobility to enjoy your skiing endeavor. While they may seem cumbersome, mittens provide enough control to grasp the ski pole. 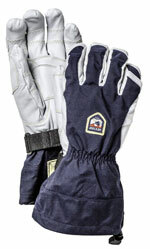 These gloves are an excellent choice for skiers due to the warmth and protection they provide. The outer shell of the glove is made from nylon with a palm made from polyurethane. These materials help to provide protection from water and physical damage. 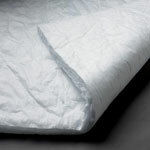 The insulation is made from polyester, providing adequate warmth in cold conditions. These gloves have a gauntlet cuff, but include a special enclosure to prevent water from entering the glove. While it may be on the higher end of the price spectrum, the Outdoor Research Adrenaline gloves provide ample protection and mobility to skiers. The Gore-Tex gloves from Burton are a versatile choice for skiers that plan to take advantage of the slopes in varying temperatures and conditions. 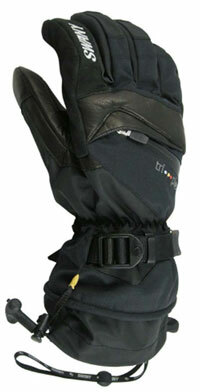 These gloves have an inner liner made from Thermex and a tough shell made from two layers of dry ride fabric. Skiers can choose to wear one or both of the layers to customize their protection. 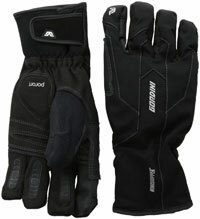 The glove also features a Gore-Tex membrane to provide breathability and waterproofing. As an added feature, Burton also included a special material on the palm and fingertips to improve grip and allow you to use a touchscreen phone. 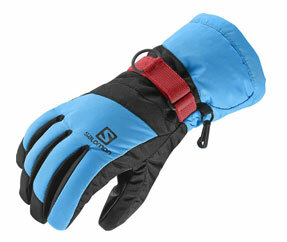 This glove from Swany is a high-quality choice that provides skiers with a number of benefits. It features a Tri-Plex insulation system that provides a lot of warmth and protection from the cold. The removable liner provides an added layer of protection. The shell of the glove is made from microfiber and includes leather trim for durability and improved grip. The fingers are also curved to improve grip. The gloves also have a zippered utility pocket for extra storage. The gauntlet cuff is also improved to have better security and protection from water. If you are one of the many skiers out there who always has a touch screen gadget on hand, the Outdoor Research Northback Sensor gloves may be your best option. They have Touch Tec leather on the fingertips that allow skiers to operate their devices without having to remove their gloves. 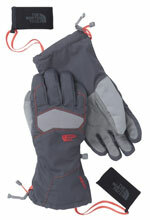 Protection wise, these gloves provide great warmth thanks to their synthetic nylon insulation. The Enduraloft synthetic insulation is also waterproof and breathable. The insulation also helps to wick away any sweat that may accumulate on the hands. The insulation dries quickly to ensure that their warmth and protection is never compromised. The Swagger gloves from Gordini are designed to provide protection and warmth while improving upon the skiing experience. The fingers are molded to improve grip while also incorporating synthetic Dura suede. The suede is located on the palms as well to further improve grip and control. The insulation is made from nylon for maximum comfort. 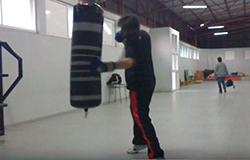 The Wind Stop liner is removable and effective in controlling wind from penetrating the glove. The outer shell is made from reflective neoprene so that the gloves can be spotted in even the thickest of snow. With a secure closure system and nose wipe, these gloves are definitely worth the investment. Another selection from Outdoor Research, the Lodestar gloves are a lightweight choice that provides award-winning durability and protection. The gloves are lined with micro fleece to wick away moisture. The specialized insulation provides protection, breathability, and water-resistance while still maintaining its light weight. The waterproof outer shell is soft, yet durable. The palm contains leather and Kevlar sticking to improve durability. The fingers also include ToughTek tabs to prevent slipping. The gloves also have a heat packet pocket on the liner to provide a bit of extra warmth. 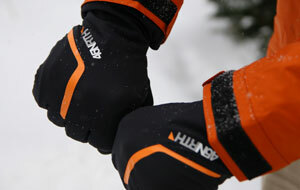 The Heli Ski Ergo Grip gloves from Hestra are a great choice that incorporates high-quality materials into the design. 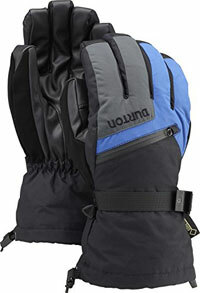 The gloves feature a synthetic liner and insulation to provide warmth. The exterior of the gloves are made predominantly from leather. The palm and fingers are made from high-quality leather that will improve grip and increase durability. Not only that, but the leather provides a unique appearance as well. The leather fingers are also curved and stitched in a manner that provides better grip. In addition to the leather, the glove has a durable synthetic fabric on the face and gauntlet cuff. 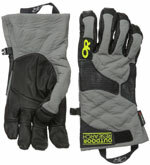 These mittens from Black Diamond feature high-quality materials and build to provide maximum protection and durability. The outer shell is made nylon and is completely waterproof. It also incorporates goatskin leather and Kevlar stitching on the palm to withstand tough conditions. The outer shell is incredibly flexible and resistant to abrasion from physical damage. The inner liner is made from high-loft fleece and has a split-finger design, allowing you to take off only the outer shell if you need complete mobility of your fingers. The dry insert will keep your hands free of sweat and moisture. 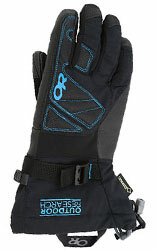 These gloves are a unique choice for skiers that want as much durability as possible. The Ergo Grip Outdry gloves from Hestra have a special design and closure system. They are designed to have a short cuff so that water doesn’t get into them. For added protection, the glove incorporates a velcro strap and cuff. The glove is curved for improved grip and made to be wind and waterproof while still being breathable. In fact, the glove is constructed to have flexibility and stretch. Material wise, this glove is made from high-quality leather. The main portion is made from goatskin leather. It is further accented with kangaroo leather for extra reinforcement and durability. 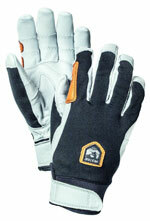 The Montana gloves from North Face are a thick and durable option for skiers. They are designed with protection and comfort in mind. It is constructed with a 5 dimensional fit to ensure that they fit snuggly on anyone. Furthermore, the boxed design of the fingertips keeps them warm at all times. The gloves also feature a HyVent insert to make the gloves waterproof and breathable. 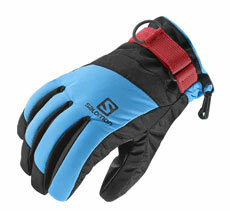 Made from synthetic fabric, the gloves are durable, yet comfortable. 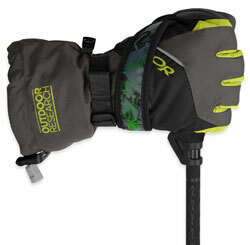 They have a long gauntlet cuff that protects from snow and can even hold a hand warmer. Despite which type of hand protection you go with, you’ll want to make sure it provides adequate protection. The first thing to look into is the insulation of the glove or mitten. 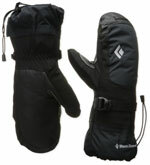 The insulation protects the hands from the cold while preventing natural body heat from escaping. Usually, guys will go with the thickest insulation to ensure that they have the most warmth. However, thicker insulation doesn’t always mean that a glove or mitten will be warmer. A thicker insulation will only restrict movement, making the glove or mitten uncomfortable to wear and lowering breathability. Guys should consider the type of material used for insulation to make a sound decision. Down is a popular insulation choice among skiers due to the warmth it provides. Down is made from natural feathers. These features trap air, preventing the cold air from penetrating the glove or mitten while preventing heat from escaping. Down insulation is best for dry environments, as it loses its insulating benefits when it gets wet. If you plan on getting a bit wet, Primaloft is the way to go. This insulation is made from a synthetic microfiber. The insulation retains warmth and protects from the elements. It also keeps the hands protected after it gets wet and tends to dry out pretty quickly. In terms of warmth and protection, Primaloft isn’t as good as natural down. However, it provides great insulation in wet conditions, is water resistant, and is very breathable. Thinsulate is a unique insulation material that is ideal for those who want complete control and mobility in their fingers. The insulation is made from very thin microfibers, allowing glove and mitten manufacturers to remove bulk without having to sacrifice protection. Gloves and mittens insulated with Thinsulate tend to be fairly thin, causing many skiers to overlook them. However, the thin fibers only improve dexterity while providing adequate protection from the cold weather. The material of the outer shell of the glove or mitten can play a big part in its overall durability and protection. It is important for skiers to choose a material that provides them with breathability and mobility. One of the most common material choices is synthetic fabric, such as nylon and polyurethane. These fabrics tend to be more breathable than the alternatives. They also create a waterproof layer that keeps the hands safe from hypothermia. Synthetic shells can be made to be very thin or considerably thick. The thickness of the shell will determine its flexibility and protection from physical harm. Leather is another popular material choice. Usually made from cowhide or goatskin, leather gloves are naturally water-resistant, making them an excellent choice. The material is also very tough, which provides guys with protection from physical harm during wipeouts. Leather gloves and mittens also tend to outlast their synthetic counterparts due to the material’s natural durability. If the leather is treated with grease, wax, or resin, the glove can be made to be waterproof and more insulating. In addition to the overall material used on the exterior of the glove or mitten, guys should consider getting a glove with additional grips on the palm or fingers. Many manufacturers implement nylon, leather, or rubber to the palms of the hand to provide extra traction. They make gripping onto ski poles a lot easier. The membrane and lining of a glove or mitten will determine how breathable and protective it is. Not all gloves or mittens have to have an extra lining or membrane. Generally, these types of gloves and mittens are more costly. However, they do provide more versatility. The membrane of a glove or mitten allows sweat to go through. This is an important feature for those who sweat a lot. 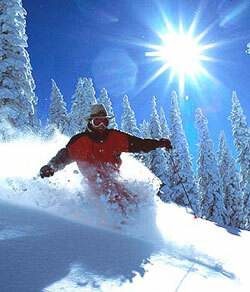 On the slopes, wet hands will feel colder and can lead to hypothermia. The membrane is placed between the outer shell and the insulation. It has tiny holes that allow water vapor to go through. These holes are too small for water to get through, yet big enough for sweat. Membranes can be made from a number of different materials. Usually, they are made from synthetic materials, such as polyurethane, Hipora, and Gore-tex. The lining of a glove provides extra protection while increasing overall comfort. Liners are usually built into gloves and mittens. However, you can also choose to get additional liners to increase warmth on particularly cold days. 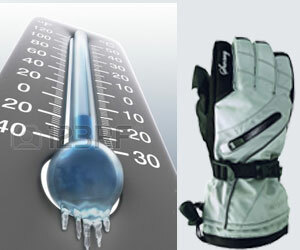 Double layer gloves or mittens give skiers the opportunity to customize their level of warmth. The lining works in tandem with the membrane to help pull sweat away from the hands. Lining is often made from a material that soaks up moisture, such as fleece or wool. The cuff of the glove or mitten is the material located at the wrist. Cuffs can be made a couple of different ways. In most cases, guys will choose a cuff based on personal preference and comfort. However, cuffs are designed to provide skiers with different benefits based on their construction. The two most common types of cuffs are gauntlet and short cuffs. Gauntlet cuffs are often referred to as long cuffs. These cuffs have fabric that extends beyond the wrist and past the cuff of a jacket. They go over the top of the jacket cuff and are much easier to handle.These are a popular choice among skiers because they can be put on and removed quite quickly. Unfortunately, these types of cuffs are prone to getting wet. 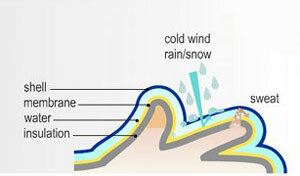 In wet conditions, water and snow can easily get behind the cuff, infiltrating the glove or mitten. Hand protection is meant to keep your hands dry and warm, so this can be a big issue for many skiers. Short cuffs are designed to prevent the issue of water penetration in the glove or mitten. Unlike gauntlet cuffs that have extra fabric beyond the wrist, short cuffs end at the wrist. They are tucked underneath the jacket cuff. While it may take longer to take off and put on, they keep the hands safe from water and moisture. Water will simply flow down the jacket cuff and over the mitten or glove rather than getting into it. When choosing the right pair of gloves or mittens, guys can choose to go with a pair that has extra features to make things a bit easier. Many manufacturers include features designed to provide more versatility or improve the skiing experience. Articulated fingers are a great choice for skiers. Gloves with this feature are curved to improve grip on the pole. Some gloves and mittens have zippered pockets for storage, wrist loops to prevent losing them, and extra padding to protect from rocks. Some even have more unique features, such as goggle squeegees and nose wipes sewn directly onto the thumb.